I think Santa is checking his list, trying to find who is naughty or nice. I can’t believe that Christmas is just six days away. Christmas morning is full of energy and excitement, so why worry about breakfast. 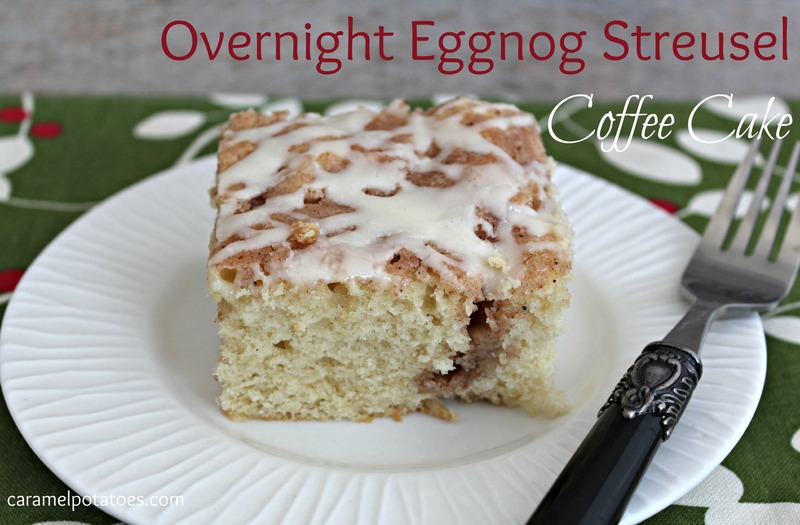 This Overnight Eggnog Streusel Coffee Cake is perfect for Christmas morning. Prepare it the night before and all you have to do is pop it in the oven that morning while everyone is opening gifts and by they time the gifts are all opened breakfast is ready. Easy! Because let’s face it, I am always really tired on Christmas. My kids are early risers everyday of the year, but come Christmas and it is just about a couple hours after I find myself getting into bed that I have a house full of excited kids. Grease bottom only of 9×13 pan with cooking spray. In a small bowl, mix all topping ingredients with a fork until crumbly; set aside. In a large bowl, beat the sugar and butter with electric mixer on medium speed. Beat in eggnog, sour cream, vanilla and eggs until well blended. Stir in four, baking powder, baking soda and salt. Spread into prepared pan. Sprinkle topping over batter. Cover; refrigerated at least 8 hours. Preheat oven to 350. Uncover; bake 35-40 minutes or until toothpick inserted in center comes out clean. Cool 20 minutes. In small bowl, mix glaze ingredients until smooth and thin enough to drizzle. 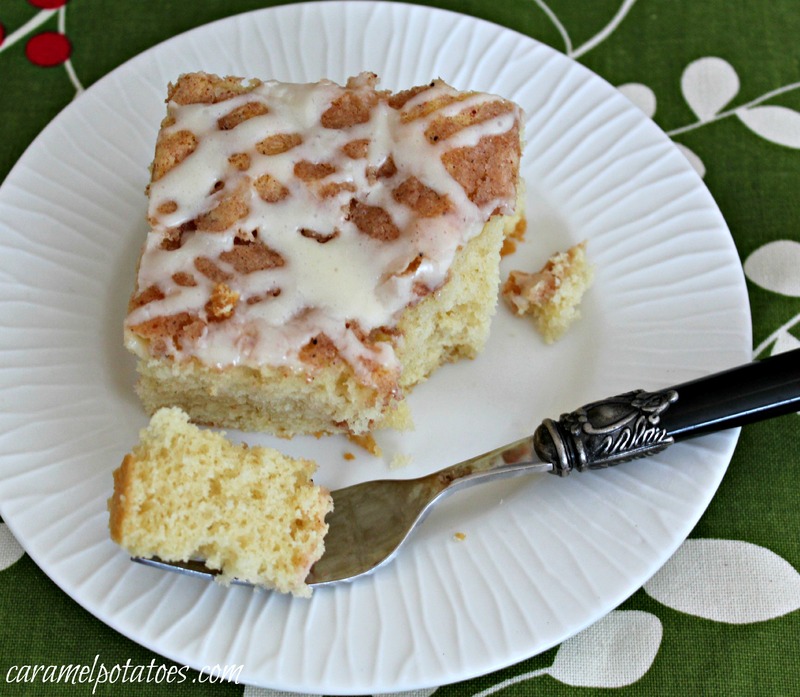 Drizzle glaze over coffee cake. This sounds so good. I’ll be making it soon!